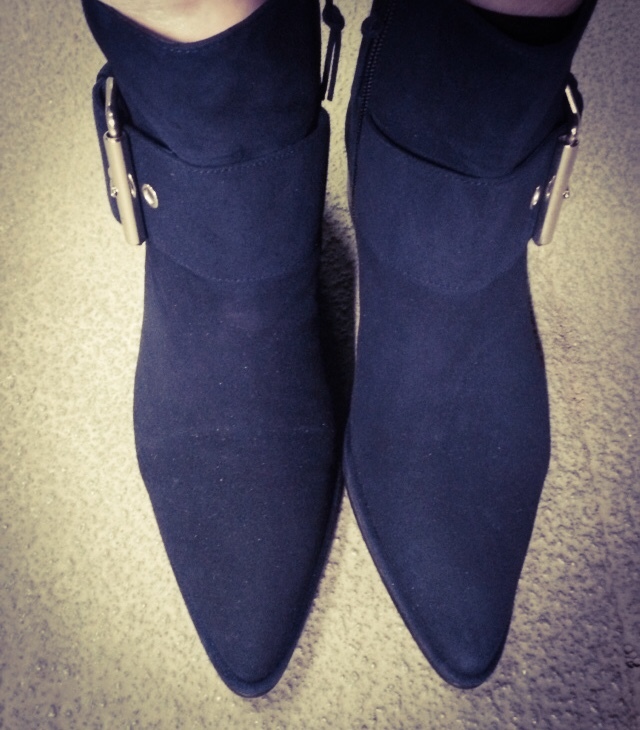 March | 2015 | Footwear Fashionista … a sneak peek into my shoe closet! The first day of Spring isn’t for a few more days, but with unseasonal temperatures reaching 70 degrees today, it feels like summer. So of course I had to break out a pair of open toed mules … Prada mules. 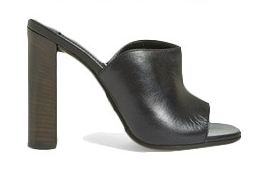 Black leather, peep toe mules with a 4.25″ heel. Simple in design, stunning on your feet. A fashion staple. In the Fall of 2014, Stuart Weitzman and Harper Bazaar collaborated on an exclusive boot capsule collection for ShopBAZAAR.com. The “Buckler” merges fashion and function in a’60s-inspired mod ankle boot. 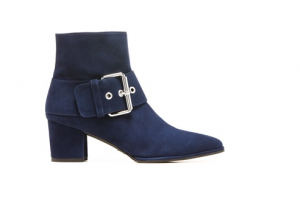 The surprise is the unexpected navy suede color, making this a luxe boot. 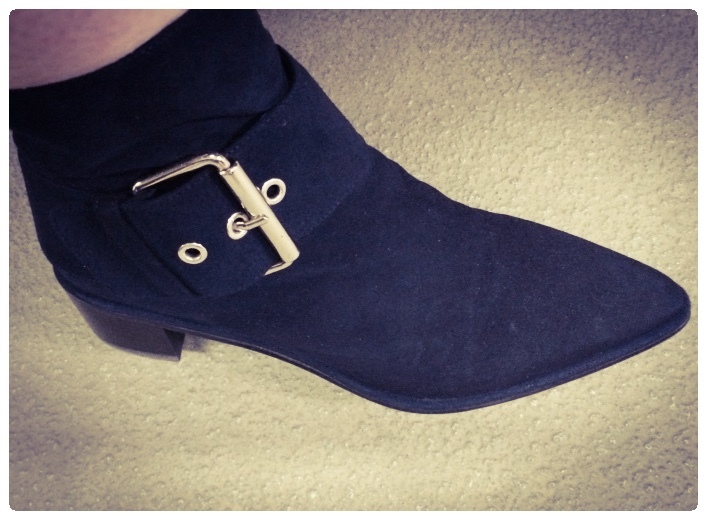 There’s a gleaming, silver-toned large buckle, an inner zip and 1.5″ heel. These slip on boots are simple, sharp and sophisticated, but they can definitely take on a low-key grunge vibe too, making this boot very versatile for everyone’s wardrobe. Kick it up, but don’t step on my blue suede shoes.